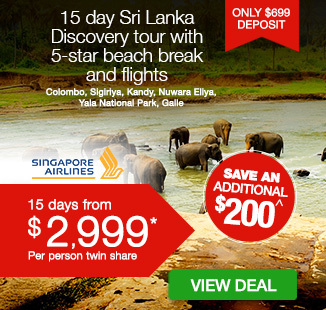 9 day Lavish Beachfront Escape to Sri Lanka including return Singapore Airlines flights, return transfers, delicious daily breakfast, bonus dinner, late check-out and more. 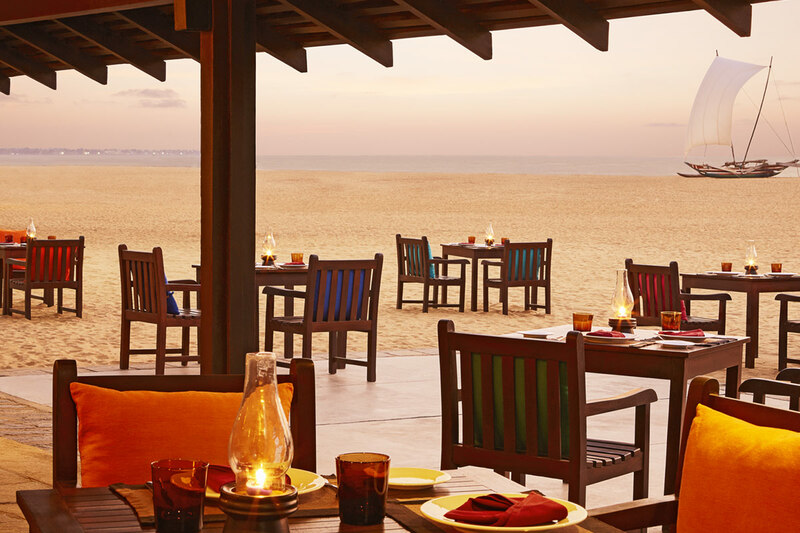 Kick back and relax in paradise with this 9 day Lavish Beachfront Escape to Sri Lanka. 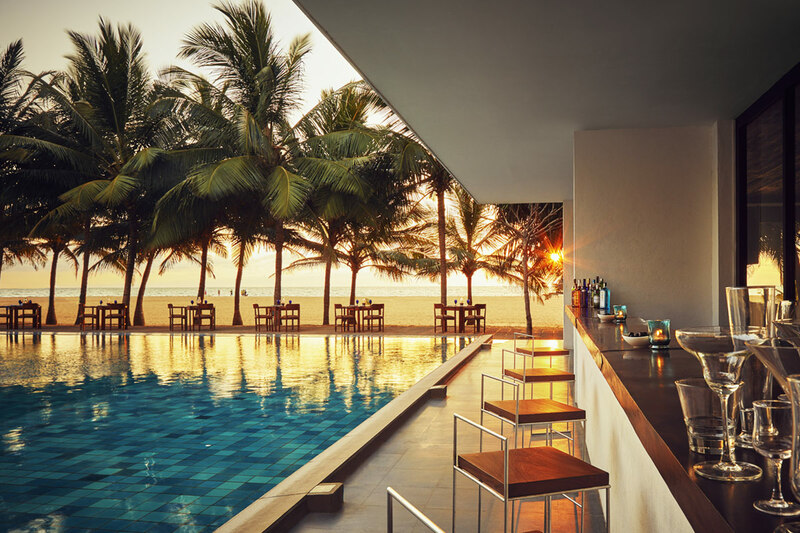 Stay in comfort and style at the 5-star Jetwing Blue, an incredible resort located at the edge of the Indian Ocean. 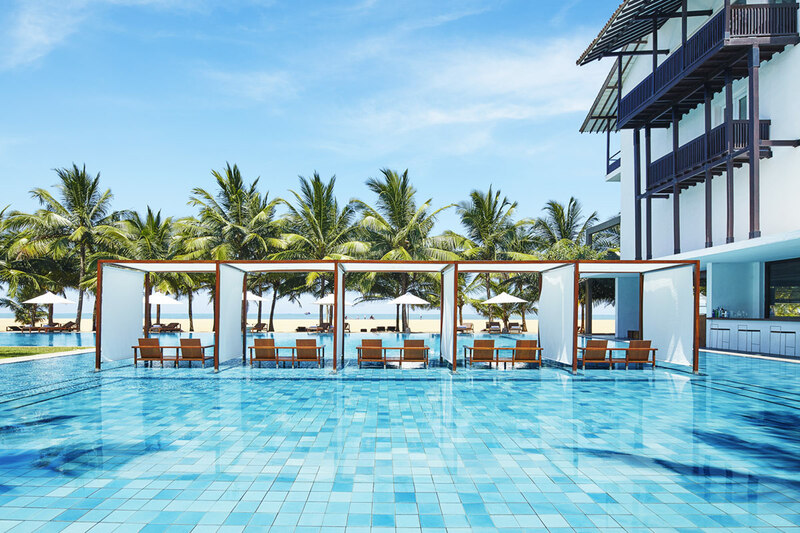 Spend your days swimming in one of the 2 impressive swimming pools, pampering yourself with a spa day, shopping up a storm at the resorts in-house boutiques, or taking a dip in the ocean which is only a mere couple of metres away. 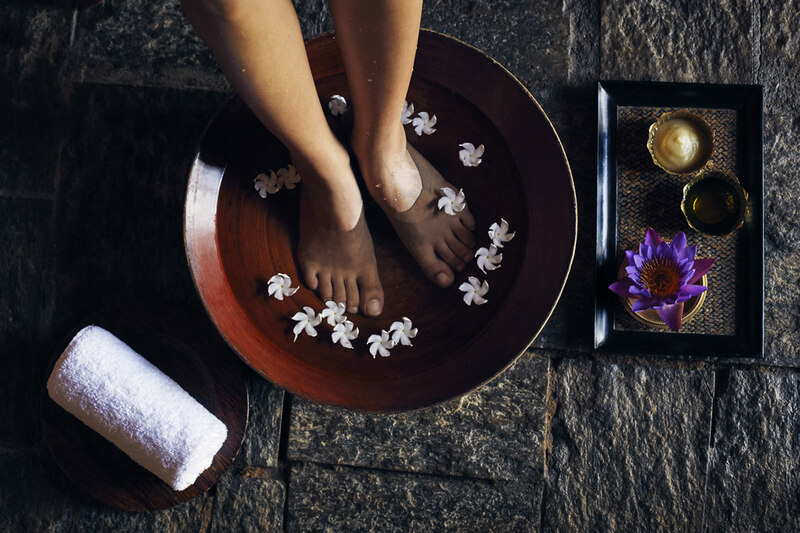 During your stay you’ll be treated to return airport transfers, a delicious full buffet breakfast daily, 1x complimentary full body massage, a complimentary dinner and a late checkout of 2pm. 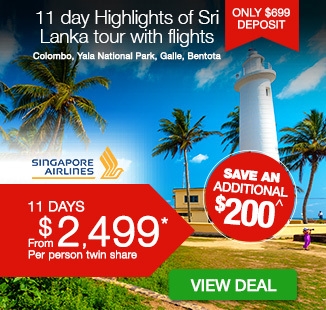 Today, depart Australia for Colombo, Sri Lanka. 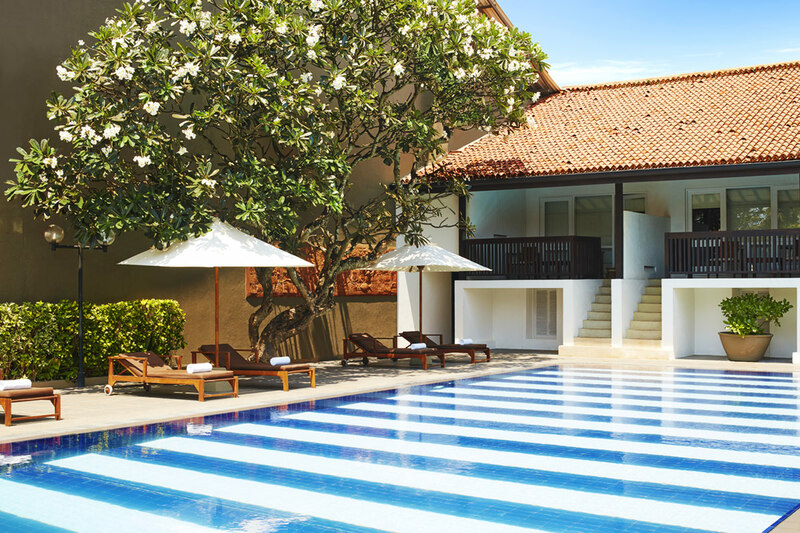 On arrival, your transfer service will be waiting to drive you to the hotel in Negombo. Travel time approx. 45 minutes. Check-in to your Deluxe room and relax. 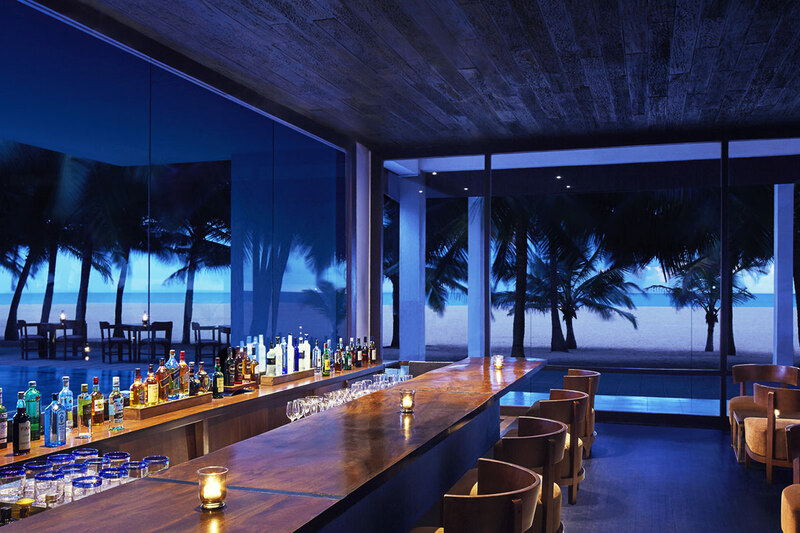 Sprawled over a coastal expanse of 9 acres, Jetwing Blue is located at the edge of the Indian Ocean. This historic hotel truly lives up to its name as an icon of tropical luxury, upon a buzzing beach strip of boutiques and restaurants. The resort offers an array of modern facilities including two swimming pools, in-house boutiques, a spa and six dining options. 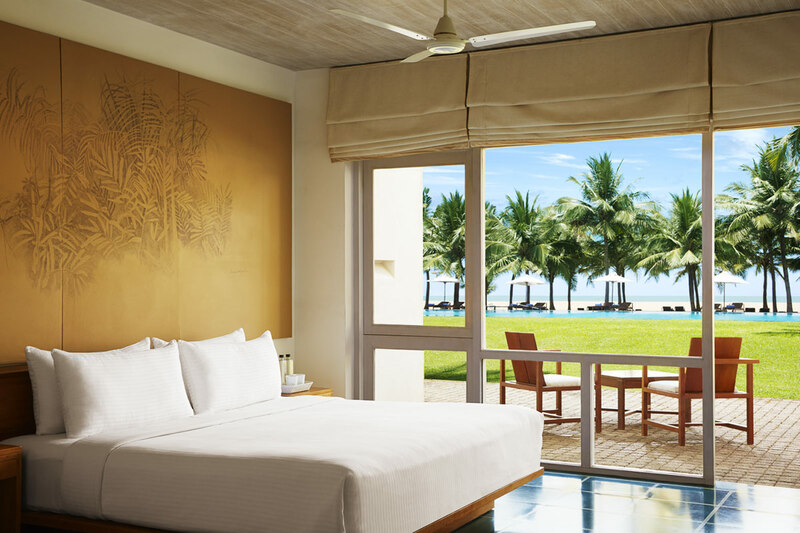 Your Deluxe room overlooks the swimming pool against the backdrop of the Indian Ocean. Featuring a private balcony or terrace to take in the views, every room immerses you in a luxurious modern atmosphere that has been designed to ensure you stay in absolute comfort. Rooms feature a luxury bathtub and rain shower, bathrobes, satellite television, minibar, free Wi-Fi and more. Today is yours to do as little or as much as you like. Don’t forget to take advantage of the complimentary inclusions in your package. Today is yours to do as little or as much as you like. Sadly, your holiday has come to an end. Today, at the appropriate time, you will be transferred to the airport for your homeward flight. 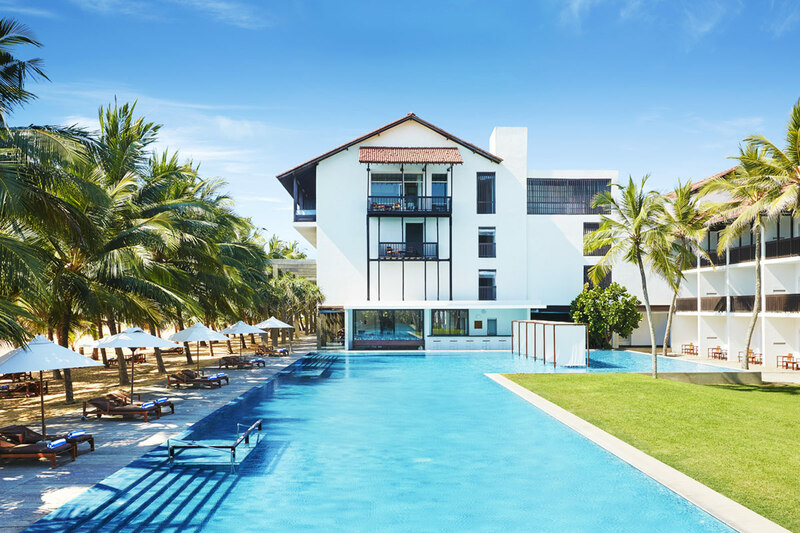 Jetwing Blue Deluxe Room: Facing our refreshing pool against the backdrop of the Indian Ocean, the 80 Deluxe Rooms are some of the finest spaces among Negombo beach hotels. 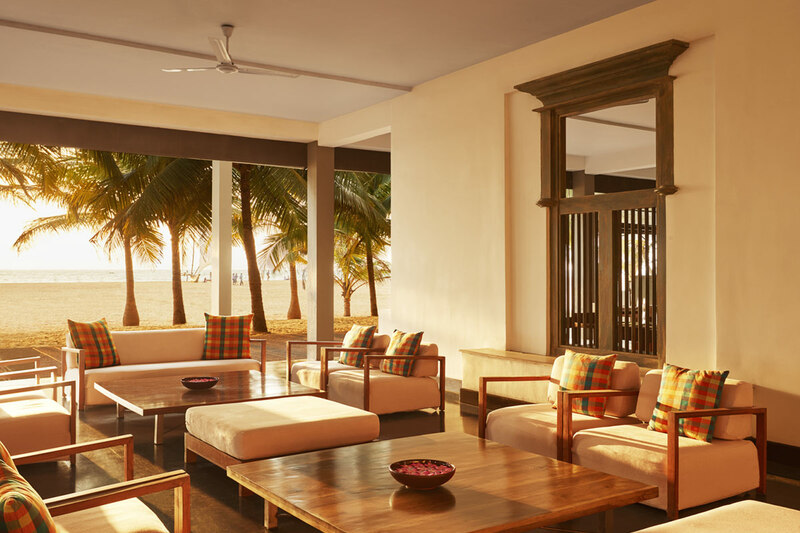 Featuring a private balcony or terrace to take in the views, every room immerses you in a luxurious modern atmosphere that has been designed to ensure you stay in absolute comfort at our original home of Sri Lankan hospitality. Adorned with large pieces of art that hang above your bed, the pristine white walls also complement the soothing blue floors for a calming seaside experience that lives up to our name with the added pleasures of a luxury bathtub, free Wi-Fi, satellite television, and more.